Bee Gees and Beyond is an exciting Branson Show where the music of the Bee Gees are brought to life at the God and Country Theatre at 1840 W 76 Country Blvd. in Branson, Missouri. This Branson show brings amazing music of the Bee Gees from more than three decades that will take you on an emotional journey with fascinating performances. The incredible sibling trio that forms the show will captivate every audience with their electrifying vocals, high-energy dance, and mesmerizing storytelling about the Bee Gees. From the early hits of the Bees Gees in the ‘60s to their rise in the late ‘70s during the disco era, and to their ever growing popularity in the ‘80s and ‘90s, their music still remains in the hearts of thousands of fans all over the world. In this captivating show, you will hear some of their most popular hits that will get you dancing in the aisles such as ‘Staying Alive,’ ‘Nights on Broadways,’ ‘You Should Be Dancing,’ ‘To Love Somebody,’ ‘Night Fever,’ ‘More Than a Woman,’ ‘Fanny Be Tender With My Love,’ ‘Jive Talkin,’ and much much more. 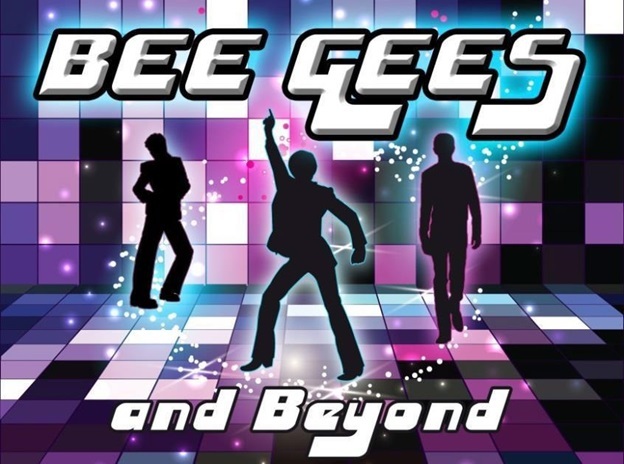 Bee Gees and Beyond is a fascinating Branson show that reminisces the musical career and history of the Bee Gees, so get inspired by listening and remembering the songs of one of the world’s most famous pop groups of their time. Let this incredible trio bring to life the unforgettable songs of one of the world’s most famous pop music group. Take an emotional journey with the trio as they present to you a prolific, dynamic, and historically significant musical powerhouse. High-energy performances and captivating storytelling are all beautifully presented in one Branson show. The success of the Bee Gees on the contemporary charts in the ‘80s and ‘90s are remembered, not to mention their significant contributions to some of the world’s greatest recording artists. As the three brothers Barry, Robin, and Maurice helped shape the face of music in their time, their songs have topped the charts around the world and have been patronized by some of the world’s top artists. From ballads to disco hits, their music crossed genres from pop to disco and influenced generations of fans and countless musicians from around the world. As the Bee Gees and Beyond show at God and Country Theater in Branson is represented by the incredible trio, the story and music of the world’s famous pop group is unfolded in this live show that is sure to captivate audiences of all ages. The remarkable success of the Bee Gees is overshadowed by their music that produced more than 200 albums with countless songs that hit the music charts. Because of the popularity of their music that spread like wildfire all throughout the world, every audience will surely enjoy the show. Bee Gees and Beyond Show can now be seen at God and Country Theater in Branson and will take you on a journey with captivating performances and high-energy dance.